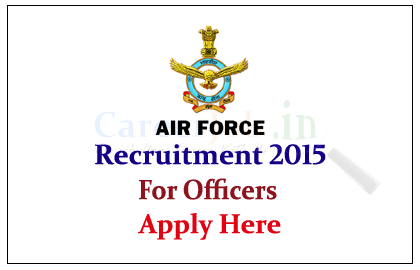 Indian Air Force – AFCAT Notification for Commissioned Officers in the flying branches / Technical branches and Ground Duty branches. 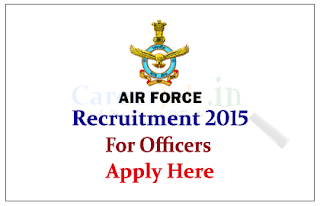 Interested and Eligible candidate can apply on or before 23rd July 2015. Company Profile: The Indian Air Force took off as a tiny fleet with four Westland Wapiti army co-operative by-planes, six RAF trained officers and 19 Hawai Sepoys. Today, it is the fourth largest Air Force in the world with a highly technical and specialised fighting force that safeguards our skies against enemy invasions. How to Apply: Interested and eligible candidate can apply online through the below link on or before 23.07.2015. For more details kindly check official notification.